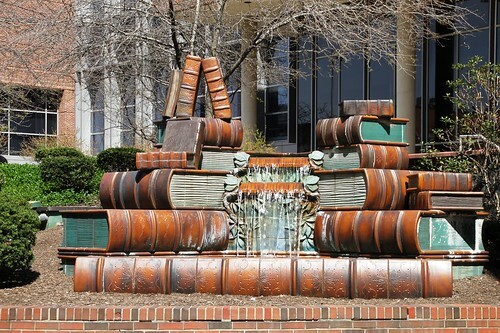 A collection of book shaped fountains from around the World. 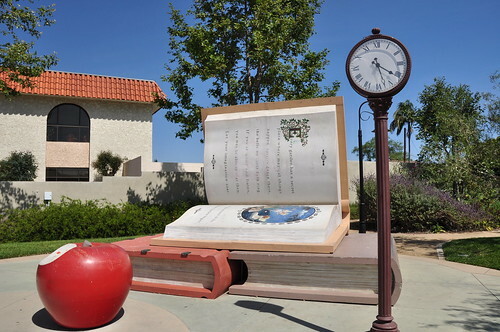 Only those fountains in which the water flows over the books or erupts from the book are included. 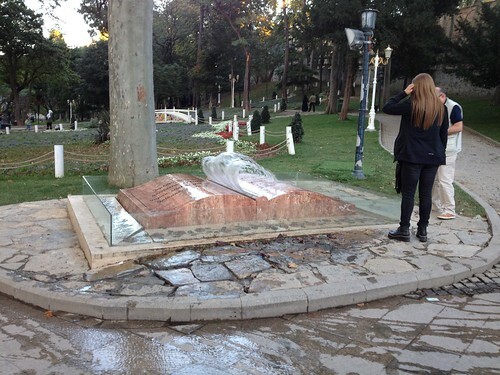 An unusual fountain in the shape of an open book, located in Gulhane Park, adjacent to the grounds of the Topkapı Palace, Istanbul. 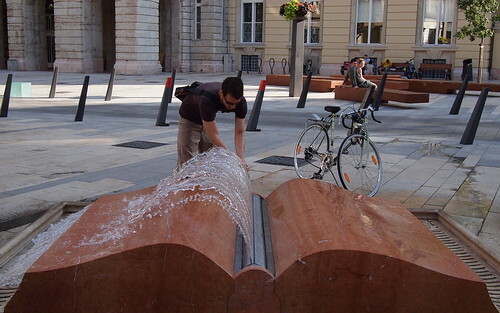 An almost identical fountain, without the text, is in Budapest. It is not known which one was the original and which one is replica. 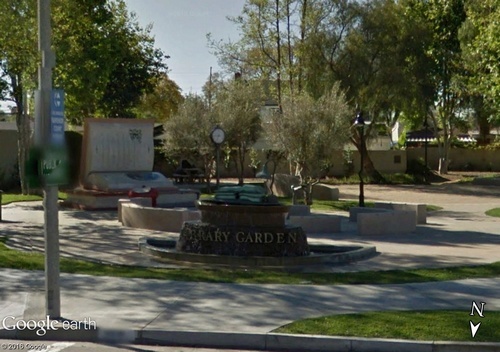 Edit Note - August 3, 2016: tek , Administrator of Google Earth Community Forums was kind enough to visit the park and found that this fountain was constructed about 2 years back. As the Budapest fountain was built in 2012 that fountain is the original. This book shaped fountain is located in Egyetem Square in front of the Eötvös Loránd University of Sciences. 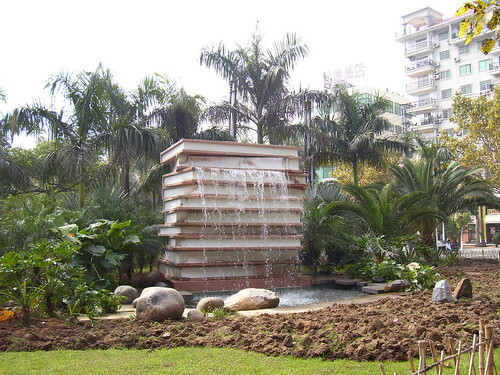 It was set up in 2012 and is almost identical to the open book fountain in Gulhane Park in Istanbul. It is not known if this is original or the one in Istanbul is original. Edit Note - August 3, 2016: tek , Administrator of Google Earth Community Forums was kind enough to visit the Istanbul park and found that, that fountain was constructed about 2 years back. As this fountain was built in 2012 it is the original. 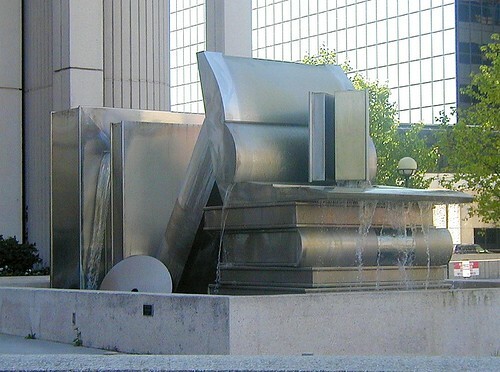 A closed book sculpture is also placed near the fountain. A clearer view of this book fountain can be seen in this Flickr image. Unfortunately the photographer has made the image download protected and it cannot be used. Adjacent to the fountain are some more books and a bitten apple. Every garden has a Secret where magical things happen. Sprites dance there, the bells on their hats ring. If you're quiet and listen, you may be able to hear them. Let your imagination soar. Your adventure in the Enchanted Garden begins. This fountain is located at the west entrance to the University. Not sure whether it can be categorised as Book Fountain as it seems to be at the edge of the pool. However giving it a benefit of doubt, it is being included in this collection. Exact location of this fountain in couldn't be ascertained. It is located near some hostel of Xiamen University. Any suggestion about its location are welcome. View location of all the Book Fountains in Google Earth.